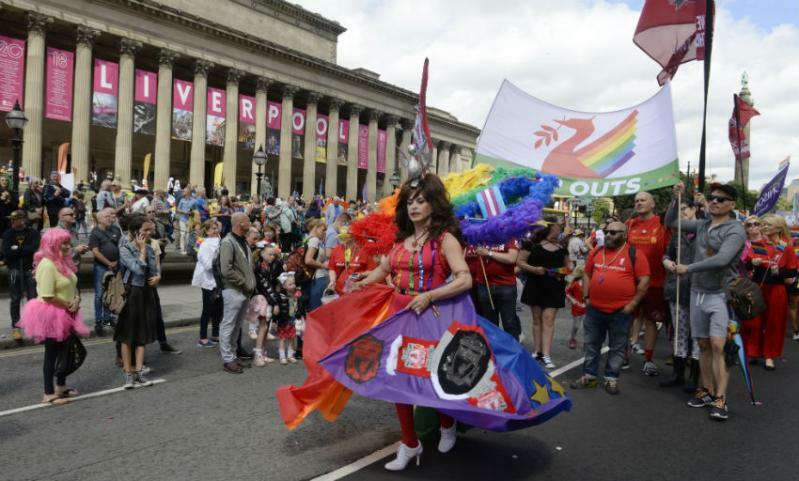 Liverpool FC's presence at Liverpool Pride this year was more colourful than ever - with nearly 100 club representatives flying the flag for LFC (literally) while joining the march through the city to support and raise awareness of inclusivity and diversity. The LFC representatives included former Liverpool Ladies FC and England International Becky Easton, who greeted fans along the way on Saturday. 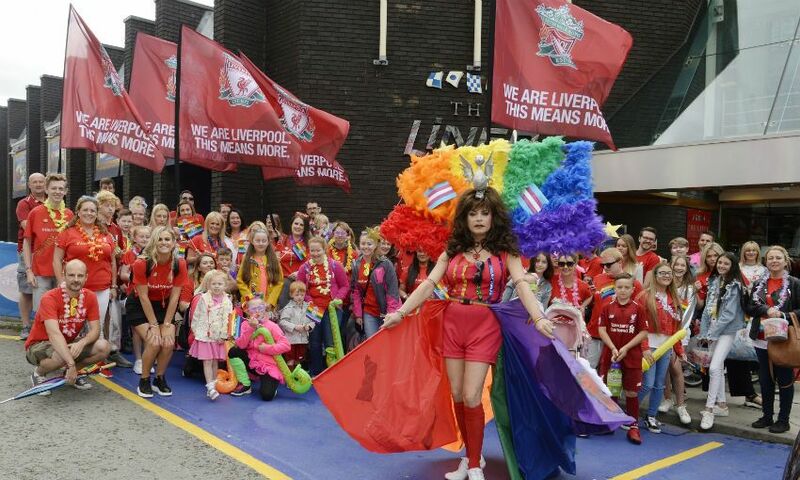 The LFC contingent was joined by the Liverpool FC LGBT+ Fan Group 'Kop Outs' who, in a dazzling display of LGBT pride, brought along their very own homage to the LGBTQ+ community - an LFC-inspired drag queen, Lily Liver. The LFC inspired drag queen costume was designed by students from Liverpool-based Rare School of Fashion, who embraced the unique project to come up with an extravagant costume that made Lily Liver the showpiece of the Pride procession. In celebration and support of Liverpool Pride, LFC has also dressed its retail store windows with Pride-themed displays, and for nearly two weeks Anfield's Kop has been lit up each evening in the colours of the rainbow. Earlier in July, the LFC Foundation also hosted a special LGBTQ+ Football tournament for Pride at Anfield Sports and Community Centre.